We are facing most troubled and confusing times, both for the Church and for the world. There are many issues, technological, moral, cultural, etc... that give rise to controversies and dilemmas. We present this section in the hopes of giving others moral guidance and support on various important matters, many of which keenly pertain to our modern age. Letter of St. Athanasius to his flock - The crisis of the Church in the 4th century parallels Her present calamities. It was St. Athanasius against the world and the great saint prevailed. We must pray that God will deign to raise up a great defender of the Faith in this Modern Age, with the Church infiltrated by Her enemies. Respect for other religions? - This article points out how different the post-Vatican II "attitude" of the Church, primarily the ecumenical spirit, is from the true attitude found in Catholic tradition, i.e. the teachings of the Popes. The essay then proceeds to give logical arguments supporting this tradition and delineates true Catholic behavior towards other religions. The Laws of God Forbidding All Communication in Religion With Those of a False Religion - Bishop George Hay (1729-1811). The "Catholic" Charismatic Movement - This article addresses the crazy Pentecostal movement which has so recently taken a foothold in the Church as a natural progression to the changes of Vatican II and has increased in popularity at an alarming rate. The article points out the marked differences between the behavior of the Pentecostals and the teachings and actions of Our Lord, the Apostles, and the saints. The incompatibility of the spirit of Pentecostalism with Church doctrine is also stressed. Why the Traditional Latin Mass? - This article explains the problems with the Novus Ordo Missae (The New Mass), the results of the changes since Vatican II and why we should only attend the traditional Latin Mass. CLEAR IDEAS on the POPE'S INFALLIBLE MAGISTERIUM - What worries Catholics most in the current crisis in the Church is precisely the "problem of the pope." This excellent article examines the two extremes: "The pope is always infallible and so we always owe him blind obedience" and "The pope is infallible only in his Extraordinary Magisterium, so we can sweep away 2000 years of ordinary papal Magisterium." Talk on education and television by Dominican Sisters - The Dominican Sisters stress the importance of a good education and correcting our children's vices then give numerous reasons for getting rid of that "Satan's Box", the television. The talk is addressed to parents, but applies to everyone. The message is clear: Catholicity and television are incompatible. Set yourself and your family free from this tyrant! The Importance of the Family Rosary and The Power of the Rosary - How many stories have we heard of families that have gone from extremely troubled to unified and holy, solely through starting the recitation of the family rosary? It is the obligation of every husband and father to lead the Rosary every night with his family, if he expects the powerful intercession of the Mother of God, which is so necessary. Raising Children - Using the family of St. Therese the Little Flower as an example, the Carmelites give some helpful insights for the Traditional Catholic family. "Rock and Roll" - The Inverted Order of Rock and Roll - Jacob Michael analyses rock music and its adverse effect on the mind and soul. "Doctor Mozart and Gregorian Chant" - Fr. Bourmaud summarizes Alfred Tomatis' findings on the healthy effects of Mozart's music (The Mozart Effect) and Gregorian Chant. This article reveals the natural and supernatural benefits of good music. Hostility to Catholicism in Russia - Catholicism is no longer recognized as a valid religion in Russia! Medjugorje: Not Approved by the Church - The supposed apparitions at Medjugorje have been repudiated by both the Bishops of Yugoslavia and Catholic tradition. Medjugorje after Twenty-One Years - The Definitive History [pdf file] -This book by Michael Davies gives the most definitive English-language account available of the events which have been taking place since 1981 at Medjugorje. The latest statement from Msgr. Ratko Peric, bishop of Mostar-Duvno, BiH, is also provided. Read this book if you want to know the truth about Medjugorje. The Role of Women in the Church - Sister Katherine Maria shares profound insight on this subject. Win Souls For Christ - It is the duty of every Catholic to bring souls to Christ through His Church. Three Errors of the Feeneyite Movement - This article presents the Church's teaching on Baptism of Blood and Desire as expressed by the Fathers, Doctors, Popes and theologians as well as The Council of Trent. Is Feeneyism Catholic? (pdf file) - An in-depth study of Feeneyism and the Church's teaching on Baptism of Blood and Desire. Sedevacantism - A Heretical Pope? In this article, Michael Davies refutes the sedevacantist position. Traditional Mass Never Forbidden - In 1986, Pope John Paul II appointed a commission of nine Cardinals to examine the legal status of the traditional rite of Mass, commonly known as the "Tridentine Mass". Here are their findings! Index of Leading Catholic Indicators: The Church Since Vatican II - The findings of this survey are staggering. If anyone thinks there is not a crisis in the Church or that it is not the result of Vatican II, let him read these statistics. 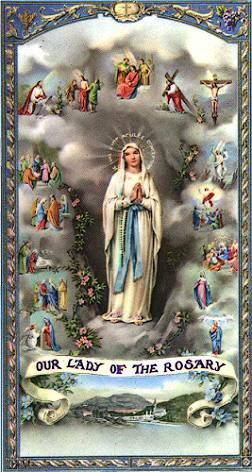 Catholic Family News - a traditional Catholic journal published monthly (800-474-8522).